Mountain Buggy Duet V3 "Grid"
The ultimate ride for siblings or twins, the Mountain Buggy Duet V3 is the most compact, fully featured, all-terrain side-by-side on the market. 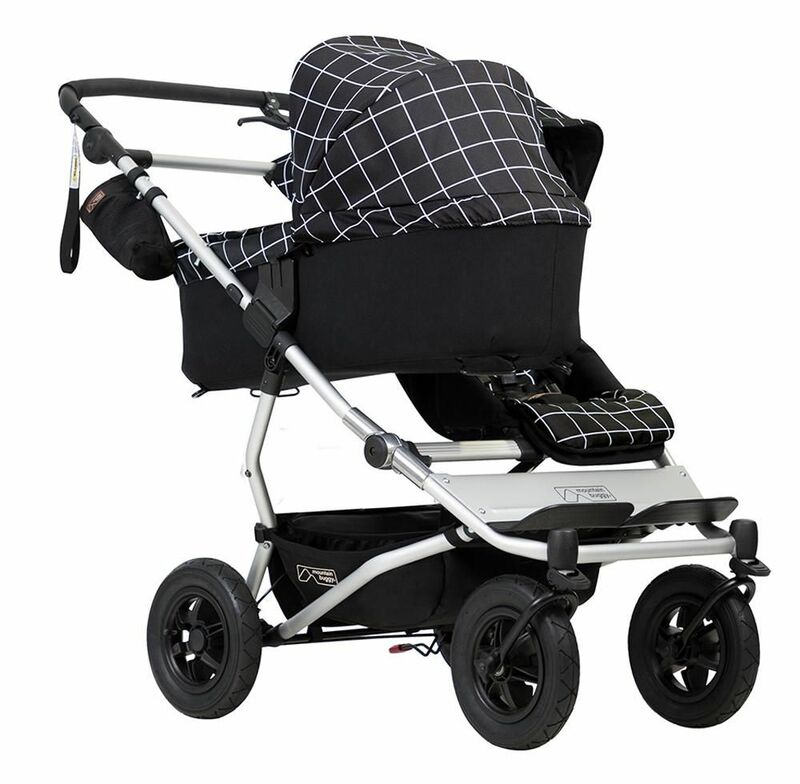 The same width as a single buggy, the Duet V3 is super compact, offering innovation like no other it will comfortably take you and your little ones from the mountains to the city streets. With two full sized seats which are suitable from newborn with lie flat recline, right up to 4 years, the Duet V3 is designed for newborn comfort and ideal for snoozing toddlers too. 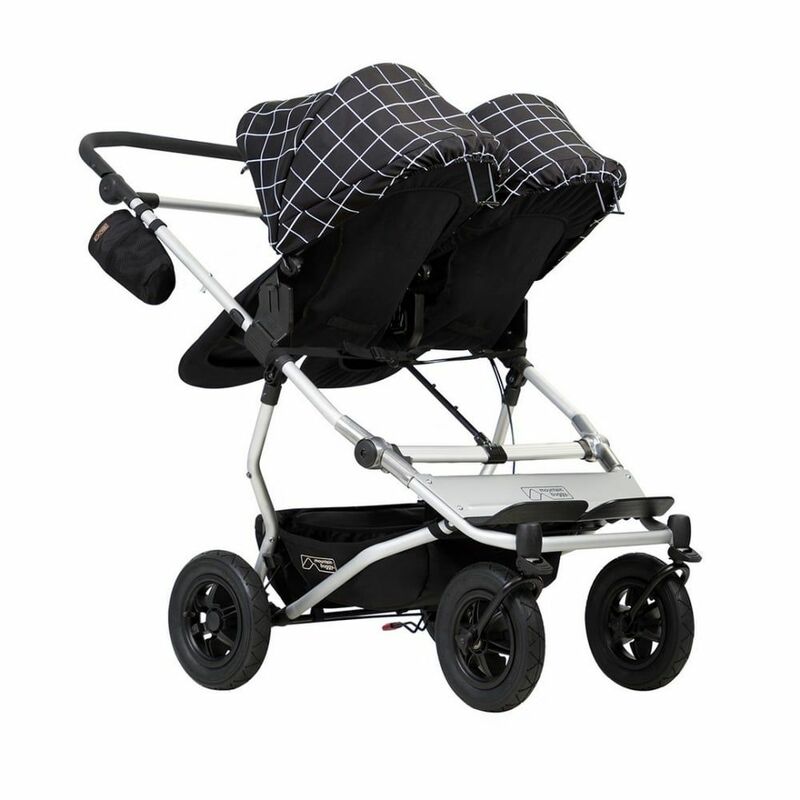 With a hand operated control brake for slowing down which provides additional confidence and superior handling when you're pushing the extra weight of two, this buggy also has a superior compact one hand, standing fold with automatic frame lock for your convenience. Designed with adaptability in mind, the Duet V3 is able to take two carrycots or two infant car seats making it perfect for twins. 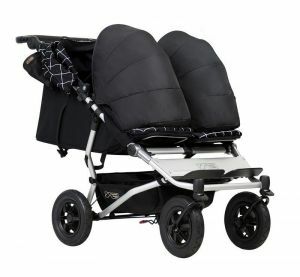 Use the Carrycot plus, cocoon and Protect infant car seat to parent face little one for longer. 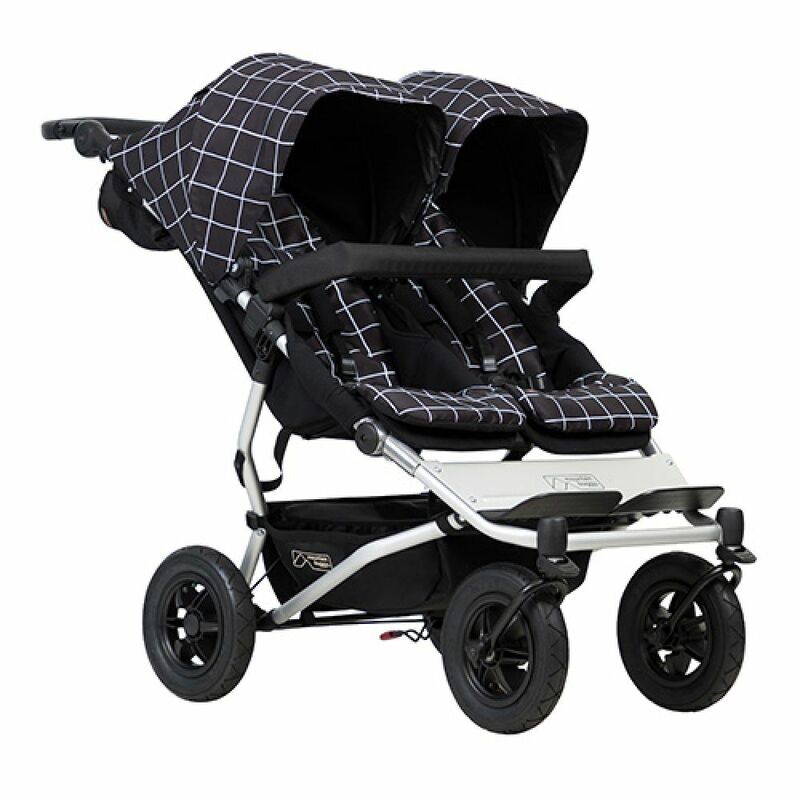 The air-filled 10" tyres offers excellent suspension over all terrain surfaces, ensuring a smooth ride every time.